Palazzo (i.e. 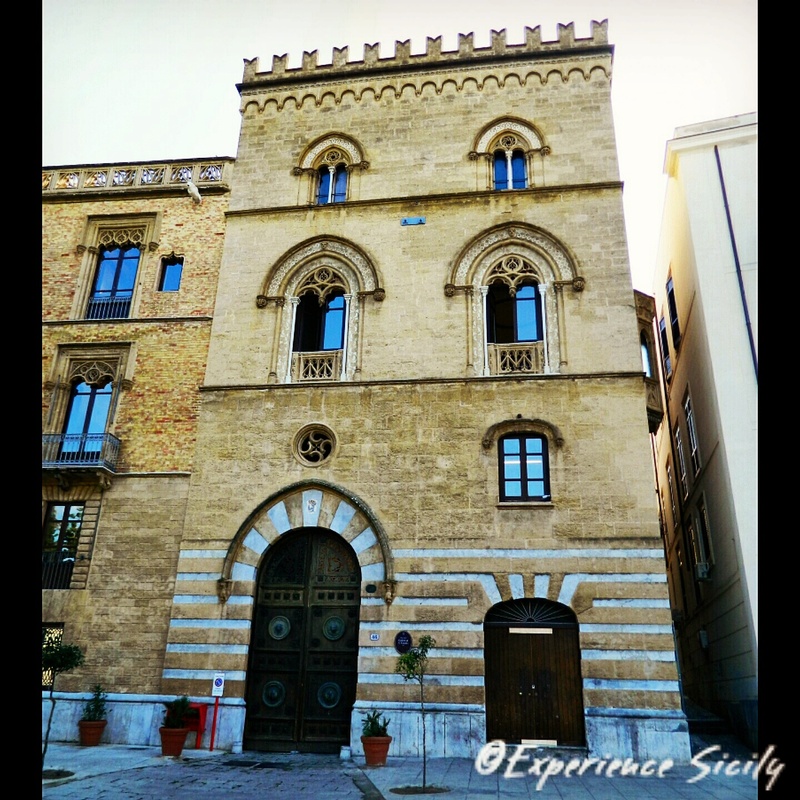 Palace) Galletti di San Cataldo on Piazza Marina in Palermo was constructed for an aristocratic family in 1866. A beautiful palazzo and an even more beautiful photograph. I love the blue of the sky reflecting the windows (yes?) and then the echo of that on the building. I imagine you added that blue shading on the building – quite lovely. Yes! You know exactly how I think Dana!